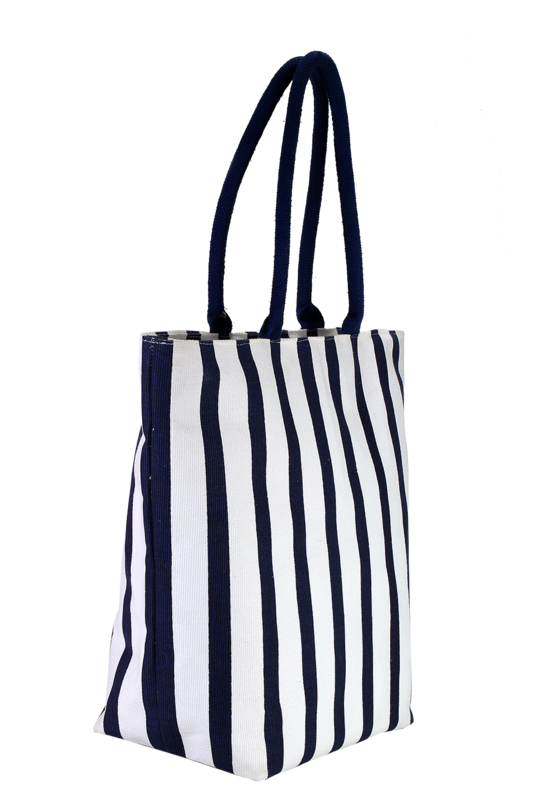 For an ideal beach holiday, this bag is made to suit your beach outfit. 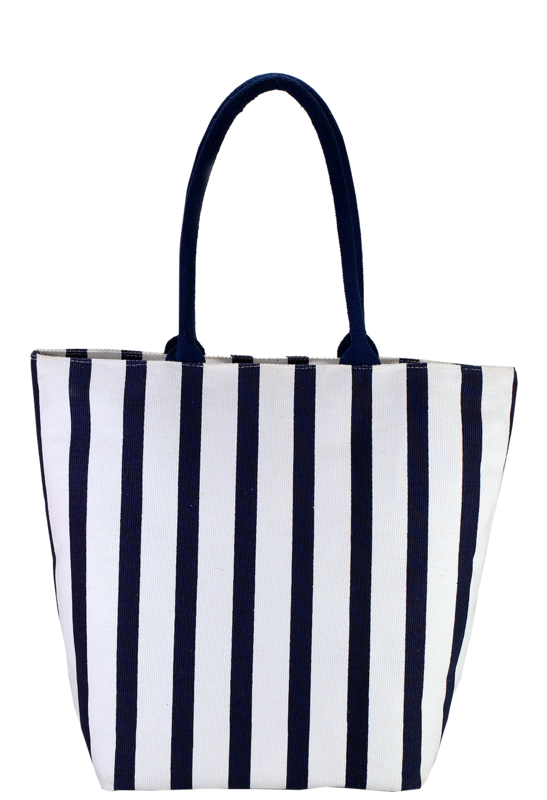 It has a black and white stripe body that goes well with your coastal mood. This is a canvas style cotton bag with a comfortable black cotton handle that matches well with the body of the product. It has 38 cm height, 47 cm width and 18 cm depth, which makes a good place for your belongings.